You just got home and decided to see what’s new on a social site or continue playing that favorite game of yours. Maybe because it’s a new year, you got a new router. Maybe you’re getting buffering and more buffering, or the spinning wheel of death. You might be thinking, “Did I get a bad deal?” Not necessarily. It could be your router. We’re here to help determine if your router is just looking for some TLC. Whatever your situation, we understand the frustration and anger that comes with connection issue or drops without warning. With advancements in today’s technology, we don’t think about maintaining or giving attention to our electronic devices. I for one don’t think it should be required, however many devices including routers need more attention than we’d like. We’ve come up with a short list of basic “TLC” instructions that will help you maintain your router. Unplug your router’s power cable. Wait 60 seconds then plug the power back in. Note: Rebooting your router more than 2-4 times a month could indicate a firmware update is required. See information below regarding firmware upgrades. Are your cables securely connected? Often, a pet or household member can accidentally pull on or kick out a cable. Loose or damaged cables can cause issues with your router. Check all of the cables and ensure they are securely connected. Check the power cables as well. Loose plugs at the wall can create power surges that can damage your router. Check to make sure each end of the Ethernet cable is securely connected. If you are unsure, unplug the Ethernet cable and plug it back in. Where is your router located? 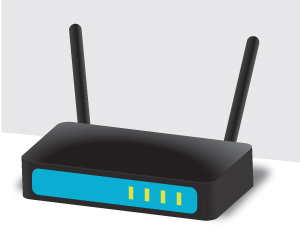 Low or dropping Wi-Fi signal can be caused by where the router is located. We suggest placing your router where nothing can block the wireless signal. Radio interference can also cause low or no Wi-Fi. If your router has external antennas, reposition them vertically rather than horizontally. Electronic devices, including routers, can overheat. Overheating can cause damage to the hardware, slowing your Internet connection. There is airflow allowing it to keep cool. The routers vents are not blocked or covered. The router is not located around a heated surface (hidden behind a TV). If your router is located around a lot of other nearby wireless connections (like inside an apartment building), you may be getting interference from your neighbors. Using an Android device (if you have one), use the Wi-Fi Analyzer app to find a less used Wi-Fi channel in your home. Change the wireless channel in your router’s interface to the suggested channel from the analyzer. Firmware upgrades can resolve issues with stability or bugs from when your router was released. We suggest seeking professional help with this step, as it can be quite a task, and can easily damage your router. Download the firmware for your router at the manufacturer’s website and save it to your desktop. Note: Some routers have a “check and install” option from the interface itself. Enter the router username and password. Locate the firmware section of your router configuration. Here you should be able to update your firmware with the file you downloaded from the manufacturer’s website. If you have issues with this step, you can visit the manufacturer’s website for instructions on how to do this. Features built into the router could also be slowing you down. By default, any feature that can monitor or slow your connection is disabled. To ensure something wasn’t enabled by mistake, you can do a factory reset on your router. We recommend using this step as a last resort. A factory reset will require a reconfiguration of your router (like you did back when you first got it). It will include setting up your wireless network name and passphrase again. Note: You can use the same network name and passphrase. It doesn’t require a custom one each time you decide to do a reset. Locate the reset button, usually a small pinhole, on the back of your router. Using a paperclip or something similar, you’ll insert the end into the reset hole and hold for about 30 seconds. Normally, you will see the lights on your router flash or go out. This is an indication that you have successfully reset your router. There are countless other issues that would make your router not operate correctly. Outside of the listed steps above, it is possible that your computer may have related problems where additional troubleshooting is needed. Contact a trusted computer technician to help determine if there are hardware or software issues playing a part in your troubles. With everything said, and hours spent in troubleshooting your router, it is sometimes best to call it a day. If you have had the same router for the last ten years, replacing it is probably not a bad idea. Most routers today are fairly inexpensive and offer free support from the manufacturer. Getting the speeds you should get Does Your Organization Need SOC 1 or SOC 2? – Updated!